We are only a few weeks away from Billy Casper Golf's World's Largest Golf Outing supporting the Wounded Warrior Project. This year we have added an additional event to the mix. 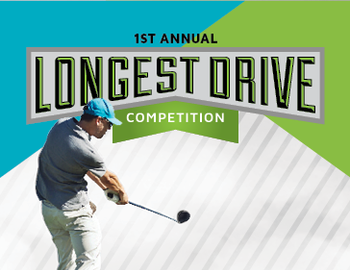 On Friday July 31st come join us for our 1st ever long drive competition supporting the WWP and the WLGO event. Competitors will fall into one of four categories, Under 40 years old, 40-60 Years old, Over 60 and the Ladies division. Don't think you can compete, come on out for the food and drinks instead. Cost is $35 for participants and $25 for specators. $10 from each entry will go directly to the Wounded Warrior Project. Hope to see all of you on July 31st!